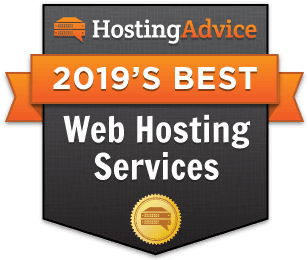 With a well-known reputation for providing superior web hosting performance, reliability, and support, DreamHost is an excellent choice for taking your growing website to the next level. Offering the full suite of shared, VPS, cloud, and dedicated hosting options — not to mention a custom website builder and managed WordPress services — the privately owned company offers a fantastic bargain particularly for more experienced developers or businesses looking to grow their online presence. DreamHost embraces open-source programs and backs up an unbeatable 100% uptime guarantee with ultra-performant solid-state drives, top-notch security protections, and Tier II-caliber support. Looking for DreamHost coupons and promo codes that actually work? You're in the right place. See below for HostingAdvice.com reader-exclusive deals for every web hosting need. Simply click on the discount that interests you most to receive the sale pricing on the DreamHost website. Need some help? Learn more about DreamHost hosting with our expert hosting guide below. Does DreamHost offer a free trial? DreamHost does not offer a free trial of its most common hosting plans, but sharp-eyed customers can uncover a 14-day free trial of Remixer, the company’s proprietary website builder, and a 30-day trial period of DreamObjects, a cloud storage service compatible with Amazon S3. Even though prospective customers can’t try out most of DreamHost’s plans, the company boasts one of the best money-back guarantees in the industry. You’ll have 97 days to request a full refund if you find the company’s services less than satisfactory. What types of payment does DreamHost accept? The company requires new customers to start accounts with a credit card, but DreamHost accepts a variety of payment options once the initial fee is paid. In addition to Visa, MasterCard, American Express, Discover, and Diners Club International credit and debit cards, DreamHost allows customers to pay for services through PayPal, electronic transfers from a checking account, gift certificate, checks, or money orders. Which DreamHost hosting plan should I choose? With so many options available to customers, DreamHost makes choosing a hosting plan surprisingly difficult. Naturally, most website owners will be perfectly served with the company’s shared hosting plans, which are perfect for personal portfolios, blogs, and even small businesses. DreamHost shared hosting is a step above the mass-market solutions that are hyper-focused on affordability. Although more expensive, DreamHost ups the ante with high-powered SSDs, 100% uptime, along with a free domain registration and WHOIS privacy. Less experienced customers will want to add Remixer, the company’s one-of-a-kind website builder to their plan, while more experienced developers and larger companies will want to opt for a virtual server hosting plan. DreamHost VPS packages offer more control over the environment, enabling customers to craft a scalable, performant, and reliable space for users’ websites. VPS customers who may not be quite ready to make the leap to a dedicated server can take advantage of the company’s two cloud options, DreamObjects and DreamCompute. Finally, experienced WordPress users will probably want to check out DreamPress, the company’s managed WordPress plan. DreamPress taps into the deep expertise within the company’s open-source driven team to maximize the speed, security, and support of the world’s most popular content management system. What billing plans does DreamHost offer? DreamHost is one of the few hosting providers that makes a monthly plan available to customers. Although being billed monthly is the most expensive option, site owners generally appreciate the flexibility of not being committed to using one company’s services for several years. Alternatively, you can find greater discounts by signing up for a one-year or three-year plan. DreamHost makes more than 400 domain extensions available to customers for a variety of prices. The most common domains — .com., .net., .org., and .info — can typically be purchased for $13.95 per year. Newer, more exotic domain extensions can be more expensive, mostly ranging from about $20 to $40 each year. Payments will need to be made upfront with a credit or debit card. Not only does DreamHost join most hosting providers in including a free domain name registration in its service packages, but the company also offers customers domain privacy without an added fee. What is domain privacy and is it included in DreamHost’s domain hosting services? Domain privacy protects a site owner’s name and contact information from spammers, marketers, and attackers, by keeping the personal information out of the publicly available database. Instead of displaying your name, address, email, and phone number, DreamHost will substitute the company’s information. Domain privacy is not a major feature that many hosts will showcase, but we absolutely adore DreamHost for including this service for free as part of the company’s free domain registration. What is an uptime guarantee and does DreamHost offer one? Uptime guarantees speak to how long each month your site and the underlying hosting infrastructure will operate at peak performance and make your website, online store, or application readily available to your visitors or customers. With DreamHost, every moment that a site is unavailable makes the customer eligible for some sort of compensation or hosting credit. The company’s 100% network uptime guarantee is obviously impossible to beat, and gives a nod to the confidence the DreamHost team has in its ability to provide the most reliable services possible. Uptime guarantees, however, do not cover outages for scheduled maintenance or customer-induced configuration and errors. Once a customer opens a support ticket reporting the downtime, DreamHost will credit the account with one free day of hosting for every hour of service interruption, up to 10% of the customer’s next hosting renewal fee. DreamHost VPS and dedicated plans already come with managed services, which take care of installing security patches, operating system updates, and new versions of programming languages, content management systems, or other software. WordPress users, however, can choose to pay about $9 more per month for upgraded, managed hosting. DreamPress, the company’s managed hosting option for WordPress, takes shared hosting customers and places them in a more powerful VPS hosting environment. DreamHost’s managed services increase the speed and security of WordPress instances by providing pre-configured and automatically updated WordPress installations, along with a free SSL certificate, next-generation caching, and multiple malware protections. Does DreamHost offer a money-back guarantee? Not only does DreamHost include a money-back guarantee with its shared hosting plans, but the policy is one of the best in the web hosting industry. Customers have 97 days to request a refund when canceling a new account. The company will automatically process reimbursement if the customer paid with a credit or debit card, but users who made the original payment through PayPal, a check, a money order, or a gift certificate will have to contact support for assistance getting repaid. Be sure to note, however, that DreamHost does not offer refunds for DreamPress, dedicated servers, or VPS hosting fees. How does DreamHost pricing compare with that of other hosts? Truthfully, DreamHost is probably not the best option for customers who are hyper-focused on saving as much money as possible. The company’s products are typically a few dollars more per month than many competitors, but experienced hosting consumers will still appreciate a bargain for such impressively upgraded features. The DreamHost platform features top-of-the-line infrastructure and a genuine dedication to friendly, helpful customer support.